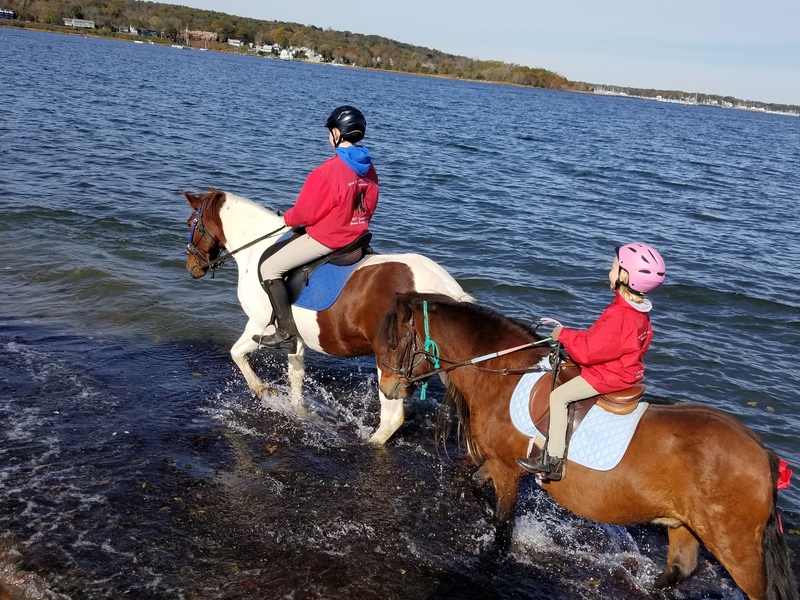 This morning I loaded up 4 horses and 3 kids and headed up to Goddard Park in RI. Rob is underway on a submarine and could not join us today. 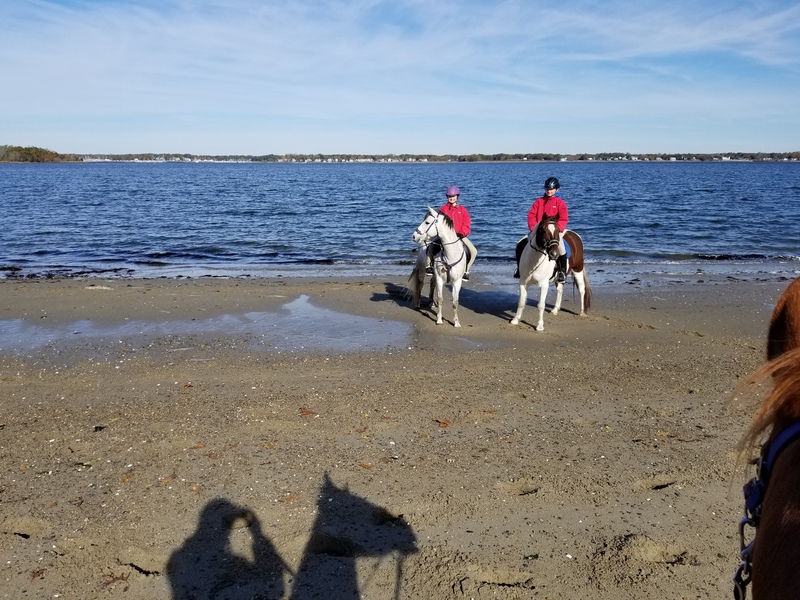 The West Greenwich Horseman’s Association had their annual turkey trot and we rode a 6 mile loop. 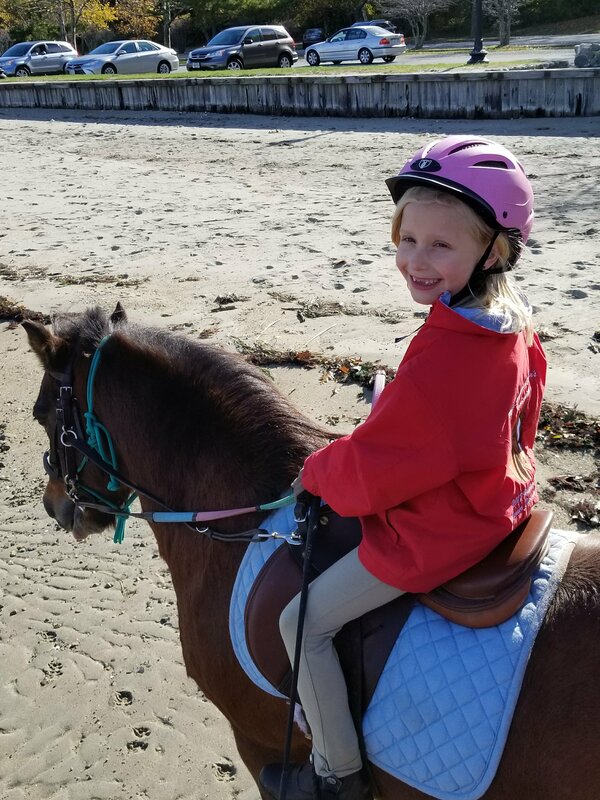 Amanda fell off in the warm up ring when Huey decided to catch up to Dakota with a canter, but otherwise it was an uneventful ride. She got back on and immediately wanted to trot so no harm there. 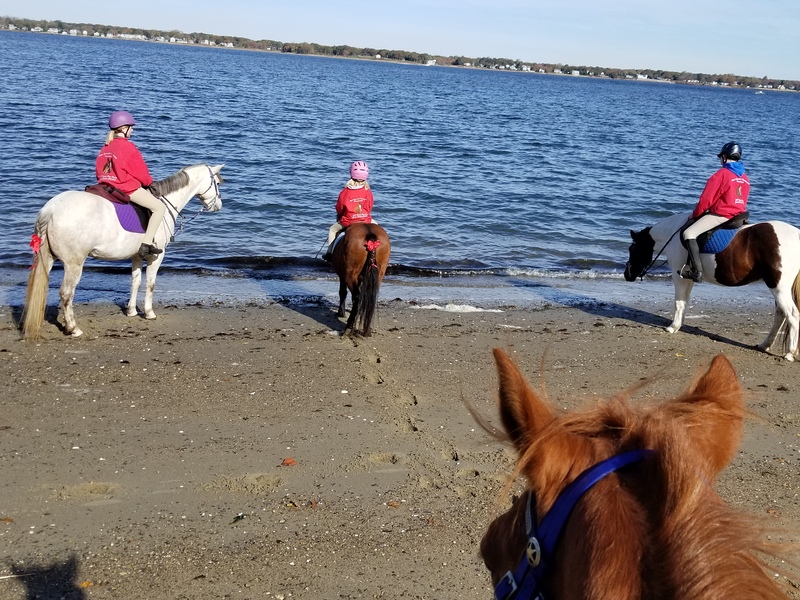 Goddard is located on the Narragansett Bay and offers a little beach riding out of season and beautiful views of the bay. 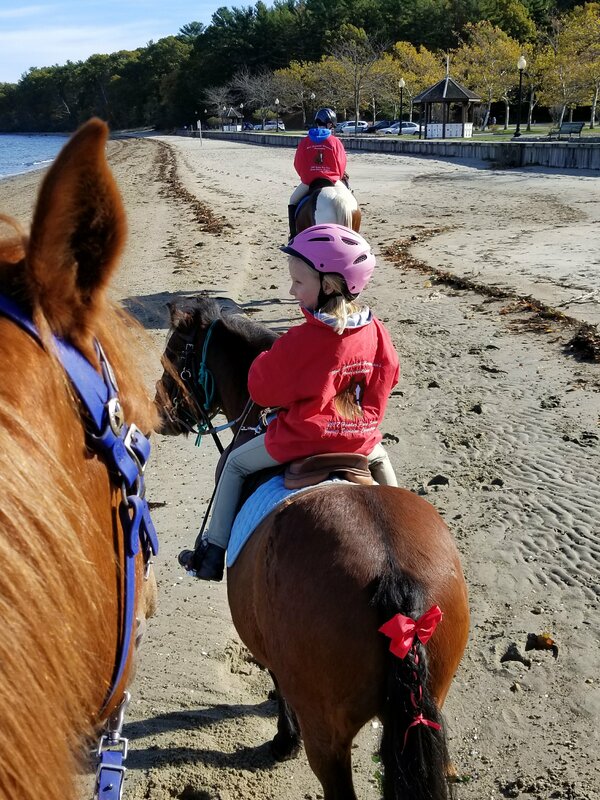 All the horses eventually went in the water at the beach. 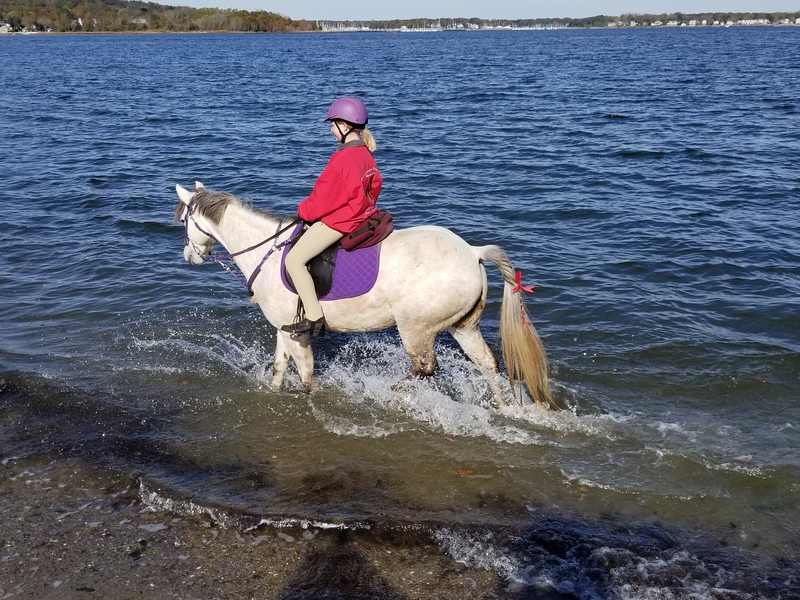 I rode Mojo today since Teddy blew out an abcess last week, and he was good, albeit a bit of a brat when he doesn’t get to lead. We will have to work on that. Lunch, turkey and trimmings, was great and we came home with raffle prizes like cookie cutters, sweat scraper, grooming block and a safety led light. Good day.